Did You Miss Our Last Webinar, Social is a Science? Discover how to use social media as effectively as you use the phone. In the past four years, staffing firms added more than one million jobs. And according to Staffing Industry Analysts, the penetration of temporary workers into the U.S. labor force reached an all-time high this month. So how will you turn all this good news into a record-breaking 2014? Like the eBook? Watch the Webinar! Ask Haley: What’s the best investment to make with a limited budget? 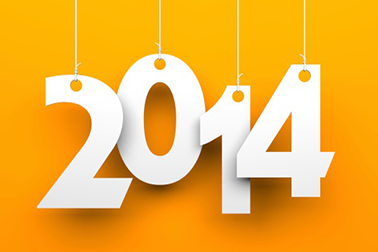 2014 promises to be an exciting one with lots of changes for the staffing industry! Want to have a great year? Be sure to check out our new eBook, Strategies for a Record-Breaking 2014. You'll find lots of ideas to make this your best year ever! Want specific ideas for your firm? Click here or email me at [email protected], and we can set up a personal consultation to discuss your 2014 marketing strategy. >> Join the conversation today!